You may have noticed that a lot of the websites you frequent run blogs alongside their regular business pages. The Undsgn blog is one such example, and there’s a reason we make an effort to publish new content regularly. In fact, we’d go so far as to say that most businesses can benefit from running their own blogs. When we talk about blogging in a business context, we’re not referring to publishing posts about how your day went or sharing your favorite recipes. Instead, you’ll want to focus on topics that you and others in your industry care about. That way, your blog can enhance your authority and reputation, along with bringing in additional traffic to your site. 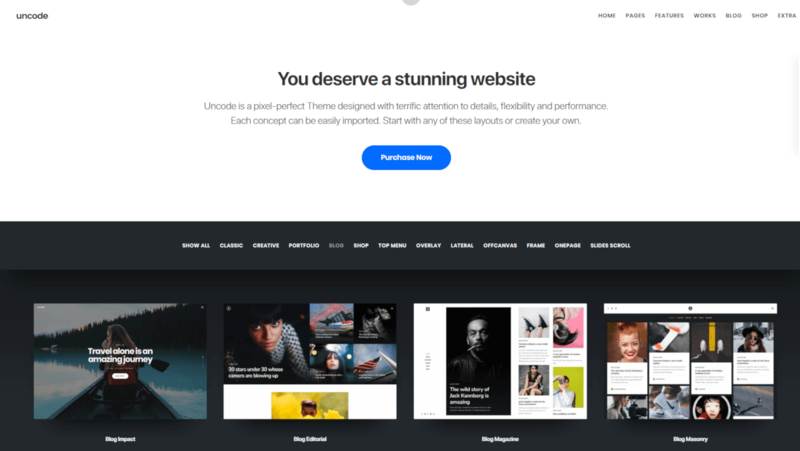 In this article, we’ll go over five reasons you should set up an Uncode-powered blog for your business. Let’s start from the top! You can use your blog to target keywords people are looking for in search engines. You can publish as much content as you want, and speak to as wide or as narrow an audience as you’d like. Old posts can keep bringing in traffic indefinitely, with no extra effort required on your end. The best part about Search Engine Optimization (SEO) is that it’s free if you do the work yourself. Unlike with paid advertising, you’re not shelling out money for each click or view. Instead, you publish a blog post, carefully optimize it, and wait for visitors to arrive. Of course, you’ll still have to look for ways to turn those new visitors into loyal readers or customers. However, that shouldn’t be difficult if you make an effort to write about topics that people in your field care about. For example, if you’re running a web hosting service, you can create an informational post about how to choose the right plan for your site, and link out to your own products. That’s just a basic example, and there are lots of ways you can convert traffic. However, we recommend that you focus on creating the best blog content you possibly can, especially in the beginning. Once you start getting a decent number of views consistently, then you can look for ways to optimize conversions. The more specialized your blog’s content is, the more valuable a resource it will become. Over time, people looking for information in your niche or field may come to trust your blog as the go-to place to find what they need. Becoming a trusted resource can help you convert more visitors. You can promote yourself or your writers as experts in your field, by including brief author blurbs alongside each post. You can target subjects no one else in your field is talking about, or create comprehensive and detailed guides on key topics. Ultimately, it all comes down to trust. If people don’t feel that your website is trustworthy, they’re less likely to purchase something from your business. When you have a blog that’s been around for a while, you’ll be able to show visitors that you take your work seriously and know what you’re talking about. This helps visitors find more content to check out, and provides them with links to your social media accounts and other key pages. Giving your audience a look at the people behind your content humanizes it, which is another key factor when it comes to promoting trust. At some point, you’ve probably run across a business website that clearly hadn’t been updated in ages. The problem is that a lot of business websites don’t need that much maintenance. If all you have are a few pages that introduce your company and detail your services, for example, you may not need to update that information often. This is helpful for you, since it saves you time. However, if your site appears too static, visitors might get the idea that it’s abandoned and move on. On the other hand, running a company blog makes it clear that you’re still around and active. For this strategy to work, you’ll want to adhere to a regular posting schedule. You don’t need to publish new content every day, but for best results you’ll want to update your blog at least once per week. It’s also smart to post content at regular times – such as every Wednesday at 1 pm – so readers know what to expect. 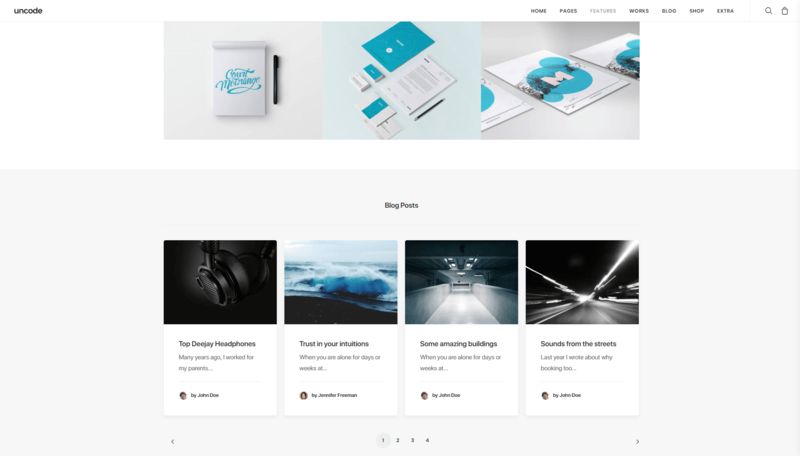 With this functionality, you can showcase your latest posts side by side, organized into clear and stylish grids. That way, new visitors will immediately see your latest content, and will be encouraged to check it out. In the previous section, we explained how essential it is that your website doesn’t look like it’s abandoned. Having an active blog certainly helps to counter that appearance. However, you can do even better, and use your blog as a platform to communicate with your visitors. There are several ways you can use your blog to engage with your audience. You can start and participate in conversations in your posts’ comment sections, for example. 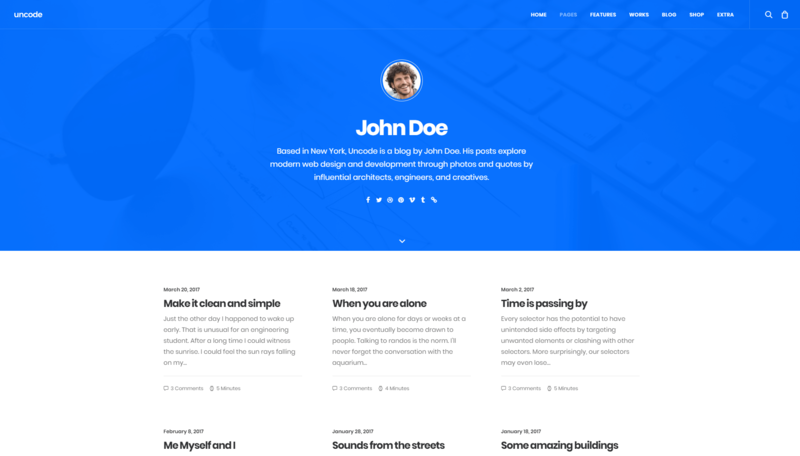 This is a built-in WordPress feature that helps you answer questions and encourage discussions. This directs people towards your social media pages, and prompts them to interact with you on those platforms as well. One common characteristic of many business blogs is that they’re always asking visitors to sign up to their email lists. This is because marketers know that email is one of the most effective ways to encourage more conversions. Contacting subscribers when you have news or are running promotions. Driving traffic back towards your website or blog. Periodically reminding subscribers about your business, so they don’t forget about you. 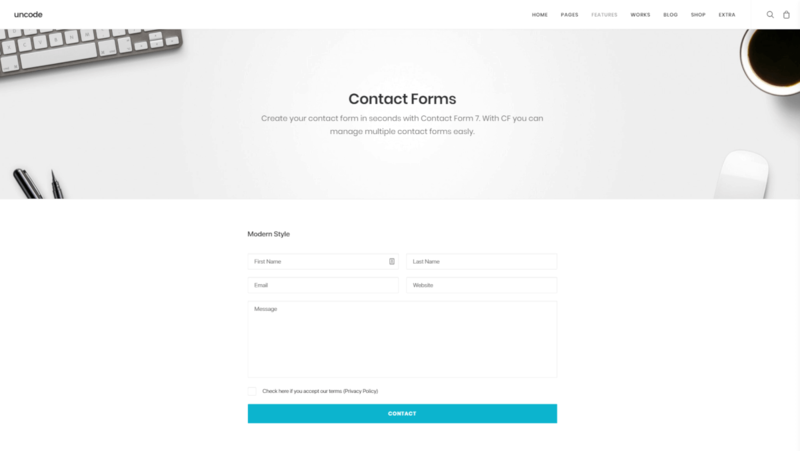 Using the Uncode builder, you can create simple opt-in forms in a matter of minutes. Then you can place them anywhere on your blog, and start growing your subscriber list. Running a blog takes effort; there’s no doubt about it. However, most businesses can benefit from the exposure a successful blog brings. If you’re willing to put the time into growing a blog on your company site, it can become one of your primary sources of traffic and conversions. Position your business as an authority. Reassure visitors that your site and business are active. Interact directly with your visitors.